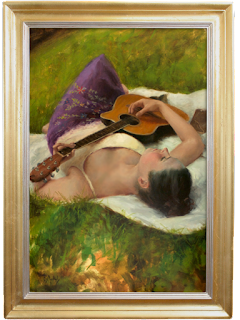 March 18, 2011 in "News"
My painting "July Serenade" was selected for this years Oil Painters of America National Exhibition. If you find yourself in Coeur d'Alene during June 10 - July 9th, go check it out. Besides the shows running, there are 6 days of events happening around the opening of the show. If you want to get in some plein air painting, or check out the amazing landscape artist Scott Christensen do a demo, I'm sure it will be a good time and worth the trip. A list of all the accepted artists is here, and if your interested in the hosting gallery, jump over to Devin Galleries.